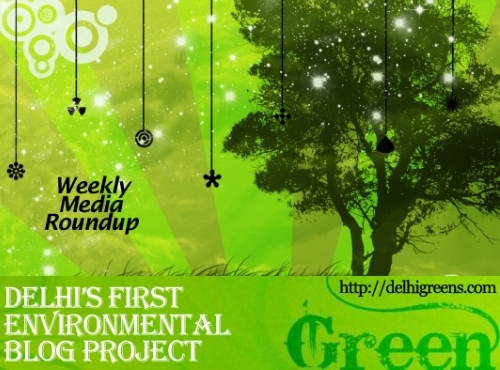 Weekly environmental news roundup from across different media networks for week 6 (starting February 4, 2013) 2013. There’s bad news for the Okhla Bird sanctuary. Because of rising pollution, local disturbances and effects of climate change, nearly 3,200 less birds visited the sanctuary this winter. Roar of lions at Delhi zoo or shriek of crocodiles at Chennai park may excite visitors. But, for zoologists it shows a disturbing trend. Most animals are forced to live in ghetto-like conditions. One of the longest sewage drains in Delhi — the Najagfarh drain — has become a favoured destination for both migratory and resident birds with over 75 different species flocking there this January. The Capital will soon have a bird conservation programme for 30-40 species of birds. The Bombay Natural History Society will monitor 40-50 common birds such as vultures and sparrows to know their population and area-specific distribution before it starts the conservation project. Environmentalists and residents of Mahipalpur in South Delhi have decided to wage a joint battle to “save the south-central Aravali ridge and water bodies” from the onslaught of “illegal construction” by various government agencies. As the Delhi forest department and various municipal corporations fight over procedural issues, the city’s green cover is bearing the brunt. The only surviving pontoon bridge in Delhi on the Yamuna, which provided a bypass to the narrow Wazirabad bridge and connected Wazirabad Road with Majnu Ka Tila in north Delhi, was washed away due to sudden rise in the water level in the river on Thursday evening. At the Delhi Sustainable Development Summit, Prime Minister Manmohan Singh introduced a much-needed corrective to the GDP-focused development debate by underscoring the problem of replacing environmental resources consumed at a rapid pace. BASIC is a platform of the four countries for coordination on issues related to climate change.